Labelling – is anyone checking to see if it’s accurate? Mother wins prize for taking on Monsanto so why is Bill Gates still promoting GM? MADGE spoke about the importance of labeling and testing of food. Agriculture Minister Gail Gago was unable to attend but has recommitted to GM-free policies. Mark Parnell also outlined his Farmer Protection Bill. The need for this is shown in this short film of Ian and Jodi James, two WA farmers who have been contaminated by their neighbour’s GM canola washing onto their land. GM canola is breaking apart rural communities and families due to the unfair way that non-GM farmers are bearing the costs of the introduction of GM. "The citizens and residents of South Australia gathered here fully support the maintenance of South Australia as a GM-free crop zone. We applaud the public commitment of the Australian Labor Party, the South Australian Greens and the Liberal party to keep the GM crop moratorium in force until September 1, 2019." Discussion continued over supper until after 11pm. It was an evening of great energy and showed the passion with which people regard their food and the farmers who grow it. The event was filmed and we hope to have edited highlights on the web as soon as possible. A collection raised $400 to support WA farmer Steve Marsh in his legal case over the contamination of his organic farm by his GM canola growing neighbour. You can make a tax deductible donation to Steve Marsh here. $400 was raised for SAGFIN and the GM-Free Australia Alliance who organized the event. The ABC reported the GM-free Australia weekend. MADGE now has jute “MADGE bags” for sale. They come in two designs, one with a logo and the other says “OMG GMO WTF”. We have also created a MADGE shopping list so you can ask shops to stock GM free brands and ask them to label products if they are GM free. We will sell bags at MADGE stalls and also via shops. They are currently stocked at Organic Wholefoods, 277 Smith St, Fitzroy. If you would like to sell them as a fundraiser for your school etc, and can collect them from Fitzroy, then we can sell them to you for a discount. Contact us if you are interested info@madge.org.au. MADGE had a delightful morning tea in Adelaide at Wilson’s Organics. Attendees shared their concerns, ideas and how they are getting active in food issues. It was really encouraging to hear how people are working creatively within their communities to improve not only the food but also awareness of wider issues of fairness and justice while building community. Thank you to everyone who came, you were an inspiration! MADGE has attended events recently with the US food activist Mark Winne, Martin Caraher from City University London and Simon Lewis from Hike4hunger. Talks covered hunger in Zimbabwe, how the lack of public transport in the US means some people are unable to get to the shops and how England and Ireland import and export similar amounts of the same product, cheese, to each other. The presenters highlighted the craziness of our current food system but also that we can work for something far better and fairer. The Growers and Eaters Forum in Bendigo had local farmers, food experts and community representatives explaining how they are revitalising the food system in creative and delicious ways. They also showed that there is hard work and difficult choices along the way. Speakers included Michael Ableman (US urban sustainable ag producer), Les Cameron (Goulburn Valley Food Cooperative); Katie Finlay (Mount Alexander Fruit Garden); Neil Barr, author of The House on the Hill and Rod May (Captain’s Creek Organic Farm) and from many more. The challenge is for us is to learn about and support the emergence of this local, thoughtful and responsible food system. MADGE was also one of the speakers. Ways of creating active change while parenting and without falling into a heap of despair at the myriad challenges we face is covered in a great new book “Honeycomb Kids" It is practical and full of cheerful, playful things to do and thoughtful ways of looking at the world. Congratulations to Anna Campbell for being wise enough to write this and for changing her life from the corporate world to diverse jobs including beekeeper, public speaker, author and much, much more! MADGE is mentioned in the chapter on food. MADGE has been investigating Bisphenol A (BPA) a compound found in certain types of plastics. BPA is a hormone disruptor that has been linked to a wide variety of illnesses including cancer, heart disease, obesity and brain damage. BPA is found in plastics including in baby bottles, the lining of cans and also in the thermal paper of till receipts. The authors of “Slow Death by Rubber Duck” drank out of baby bottles and microwaved food in plastic. They saw a seven fold increase in their levels of BPA in 48 hours. A recent report shows that even tiny amounts of chemicals can have significant negative effects and that babies and children are most vulnerable. BPA has been banned in baby bottles in Canada, Denmark, France and six US states. Australia has no such ban as our food standards body, FSANZ, says “We’re required to operate on the basis of science and the science says that BPA is safe.” There are numerous studies showing the damage caused by BPA. MADGE contacted the National Toxics Network who advised that there are no 'safe levels' of BPA ingestion. To avoid BPA in food packaging we need to contact individual suppliers and ask them whether they use BPA. Some companies use BPA-free lining to cans, however is does cost 14% more than using BPA. This mounts up to a few cents per can. The good news is that, unlike some other chemicals that build up in the body permanently, BPA levels will reduce rapidly in your body once you reduce your exposure to them. Here are some tips on reducing your exposure to BPA. For previous MADGE research into BPA read here. 4. Labelling – is anyone checking to see if it’s accurate? European food manufacturers are being warned about intentional GM contamination of rice from India and Pakistan. It was detected by the European company Cert ID. There are also reports of GM contamination in rice vermicelli from China and Hong Kong, rice crackers and “prepared rice product” from China. The concerning issue is that GM rice has not been officially commercially grown anywhere in the world yet this GM contamination is happening. Who knows what these GM rice “events” (so called because every type of GM plant created is random and therefore unrepeatable) have been designed to do? Is anyone checking whether this GM rice contamination is entering Australia? MADGE contacted our food standards body, FSANZ, who said they are in contact with the Chinese regulatory agency. They may communicate the result to the public if there is sufficient interest. The quarantine service, AQIS, tests 5% of imports but its website does not say specifically that it tests for GM contamination The Health Departments in States and Territories can do tests on food, as can councils. MADGE contacted the Victorian State Health Department. The only GM investigation they have conducted so far was at the request of a citizen concerned a US protein powder could contain GM soy. If they were contacted by FSANZ or OGTR over suspected GM contamination they would take action. It is worrying that the testing and monitoring of GM food and labelling appear not to be occurring in the way it is in Europe. China has authorised the sale of GM tomato, sweet pepper, papaya and cotton (cottonseed oil). We understand that GM oil is labelled in China but that GM fruit and vegetables and ingredients (including oil) in processed food are unlabelled. The US grows GM papaya and small amounts of GM crookneck squash and zucchini. The US has no labelling laws. Australia’s labelling laws allow almost all GM derived ingredients to escape labelling. Our Country of Origin labelling allows “frozen squid processed in China that was sent to New Zealand for repackaging then exported to Australia.....the repackaged squid was being sold with the label ''Product of Australia and New Zealand''. Could unauthorised GM derived food be imported in a similar manner? Printing out the petition asking Woolworths to make their homebrand GM-free. Contacting FSANZ and request they ask AQIS and Departments of Health to monitor to ensure that no unapproved GM crops are imported. Turkey has recently allowed the labelling of products from GM fed animals. The US public want GM derived food labelled. The state of Vermont voted in favour of GM labelling but backed down under pressure from Monsanto. Now there is a large campaign to get California to introduce GM labelling. This is the US’s largest state and the eighth largest economy in the world. The organisers of this initiative know that it must come from citizens’ efforts. They warn to expect lies, propaganda and for big biotech to spend tens of millions of dollars on negative campaign ads when it goes to a vote in California in November. Australia needs a similarly motivated population to make sure that we know both what’s in our food and where it is coming from. We need laws that let us know if we are buying locally produced food or not. The Food Alliance has produced a great document on how to create “A Resilient Fruit and Vegetable Supply for a Healthy Victoria”. The food system is only as healthy and fair as we demand it to be. 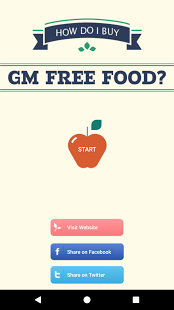 So why Bill Gates is ignoring this and insisting that GM is the way to 'feed the world'? He is even funding Australian/Indian research into developing a GM banana for pregnant women. We are told this is “safe” although it is years from release and we are not told whether safety studies have been done. Bill Gates appears unaware data from the Food and Agriculture Organisation (FAO) shows hunger declined slowly until 1995-7. GM crops were introduced in 1996 and their spread mirrors the rise in hungry people. This is because GM crops like soy, corn and cotton are traded as commodities. Global agribusiness and speculators benefit. In 2008 price rises caused by food speculation meant people went hungry while even though there was no shortage of food. 50% of food is grown by peasants, 12.5% comes from hunting and gathering, 7.5% from urban food growing and agribusiness produces 30%. To feed the world the farmers need support, not agribusiness and GM crops. Mexicans having obesity exported to them via low quality processed foods from the US. The NAFTA free trade agreement allowed this to happen. One in four US children going hungry. He could intervene to suggest that subsidies are not given to crops that end up in processed food but instead go to farms producing fruit and vegetables. Here is a lovely 2 min video that shows what could happen. Bill Gates should listen to people like Sofía Gatica and Mr Pedersen and put the US food and farming system in order before exporting it to others. “I found heirloom seeds in your bedroom, we need to talk.” Know the warning signs of your teen experimenting with farming. Then why not suggest they get (Perma) Blitzed or go Guerrilla Gardening who knows where it might lead? Sounds a bit like a healthy, resilient, diverse ecosystem.